Home / Events / MACA Auction 2015! 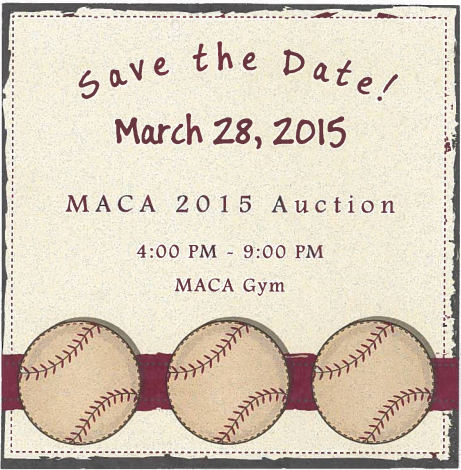 Join us at the MACA Auction on March 28, 2015. Click here to download the Auction Invite form.